TradingBells is the only Discount Broker in India to offer Research Calls to its customers. There are 2 ways in which our clients can subscribe to this pack. For self driven traders who usually trade online or using the mobile app, you can subscribe to the Research Pack at just Rs. 10,000 + GST per segment per month. 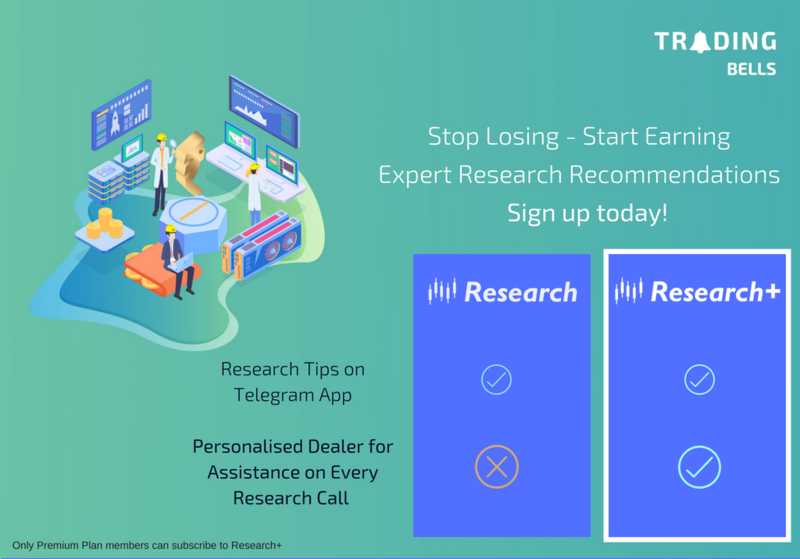 For the busy traders who would prefer personalised dealer assistance on every trade, we have the Research Plus Pack at just Rs. 25,000 + GST per segment per month. a) The trading tips given under both the plans are the same, however in order to get the maximum benefit from these tips, it is important to follow certain rules as listed here. Our dealers assisting our Research Plus customers ensure these rules are followed on each and every call, hence maximising the benefits for them.